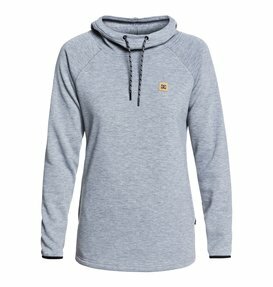 Add an extra layer of comfort when you wear a DC Shoes women’s snowboard sweatshirt or snowboard hoodie. At DC Shoes we like to defy convention and innovate products that will keep you enjoying the snow sports that you love while staying safe and protected. We believe that even the simplest piece of clothing like a snowboard hoodie can be designed to provide a wealth of benefits and features that can enhance your snowboarding experience. Our women’s snowboard hoodies are designed to provide optimal warmth and comfort so that you can get through your day on the mountain with ease. Nothing beats the cold better than an extra layer of warmth, and our DC Shoes snowboard hoodies provide excellent warmth even on the coldest days. Let one of our DC Shoes snowboard sweatshirts or snow sweaters keep you warm this winter both on and of your board. It is no question that a snowboard sweater can be a valuable addition to your snowboarding attire and provide increased warmth to keep you content while you carve your way through the backcountry. 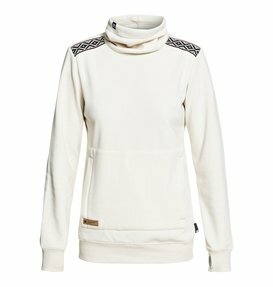 But a women’s snowboard hoodie can also be a great layer to rock around town when you’re done snowboarding, or even to apres ski with your friends. Style your women’s snowboard sweatshirt with your favorite beanie and a pair of jeans for the ultimate casual mountain town look. However and wherever you choose to wear your snowboard hoodie, our guarantees of warmth and comfort will follow. 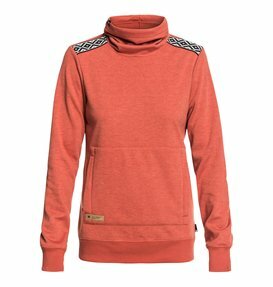 Style is an important component to any piece of your snowboarding gear, and your snowboard hoodie is no exception. 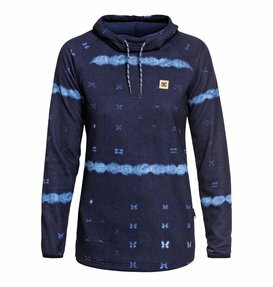 Our collection of women’s snowboard hoodies offers a range of colors and patterns so that you can choose the ones that will fit your board riding style the most. Our collection of women’s snowboard sweatshirts also offers a variety of sizes and lengths because we know some women like to snowboard in a tighter, more fitted snowboard hoodie style while others enjoy wearing loose long snowboard hoodies to keep themselves flexible and unrestricted. Whatever your riding style or fashion style is, DC shoes has the snowboard hoodie that is just right for you. Can you feel the comfort? Visit the DC Shoes online store today and get one step closer to cozying up in your very own snowboard hoodie. 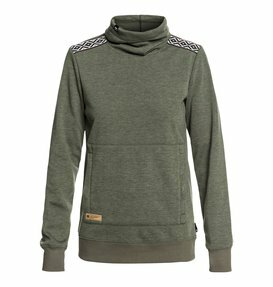 Our wide selection of women’s snowboard hoodies is easily shoppable on our convenient online platform and our free customer service helpline makes it easy to buy the answers you need so you can choose which women’s snowboard sweatshirts are right for you.